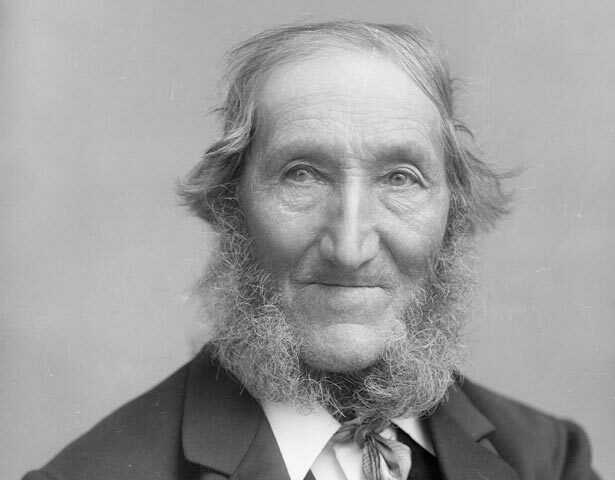 Samuel Parnell achieved fame as the founder of the eight-hour working day in New Zealand, a right he had fought for as a carpenter at Petone in early 1840. Today his name is often linked with Labour Day, which has been celebrated as a holiday since 1900. I will do my best, but I must make this condition, Mr. Hunter, that on the job the hours shall only be eight for the day ... There are twenty-four hours per day given us; eight of these should be for work, eight for sleep, and the remaining eight for recreation and in which for men to do what little things they want for themselves. I am ready to start to-morrow morning at eight o'clock, but it must be on these terms or none at all. Other employers tried to impose longer hours, but Parnell enlisted the support of other workmen and informed those arriving on incoming ships of the local custom. In October 1840 a meeting of Wellington workmen apparently resolved to work eight hours a day, from 8 a.m. to 5 p.m. – anyone offending would be ducked into the harbour. In the early 1840s Parnell bought land in Karori and established himself as a farmer. His first wife died in 1842 and he remarried in 1851. He returned to Wellington in 1873 to live in retirement in Ghuznee Street and then Cambridge Terrace. As the 50th jubilee of European settlement in New Zealand approached in 1890, the emerging trade union movement looked to its origins. Parnell was invited to write a short narrative of the introduction of the eight-hour day, and Wellington citizens formed a committee to honour him during the first annual Labour Day demonstration on 28 October 1890. Seated on a brake drawn by four horses, he headed the march to Newtown Park where he was heralded as 'the father of the eight hours movement'. Parnell fell ill a few weeks later and died on 17 December 1890. A meeting chaired by the mayor decided to give him a public funeral and on 20 December a crowd of thousands, headed by the Garrison Band, marched in procession from Cambridge Terrace to the Wellington public cemetery. There were other claimants to the title of 'Father of the Eight Hours Movement', especially after Parnell's death. But he had firmly staked his own claim in a letter to the New Zealand Times on 21 February 1878, when many of his alleged rivals were still alive, declaring that 'The eight-hours system was established in New Zealand in the year 1840, either in February or March, by myself'. No one contradicted him. By 1890 the eight-hour working day had become standard for tradesmen and labourers, but many other employees still worked much longer hours. The Labour Day parades that began that October were part of a union campaign to force the government to restrict working hours by law rather than custom. The Labour Day Act 1899 established a statutory holiday, which is today celebrated on the fourth Monday in October. We have 1 event in history, 3 biographies, 8 articles, related to Samuel Parnell.